Collecting and organizing customer information is quite challenging, that is why CRM Software proves to be beneficial. The software focuses on improving the relationship with your existing customers and finding new prospective customers by facilitating the easy collection of data and organizing and managing the customer information for future reference. Contributions of CRM software are many in this regard, but in today’s highly competitive world companies should find the appropriate use of this software so that your customers take notice of you, remember you and stick to your brand throughout their lives. Customer relationship management includes the strategies and technologies used by companies for interaction with potential and existing customers. Justifying the adage "customer is king" every company tries to find innumerable ways to satisfy its customers, to create loyalty and retain the existing customers. Since customer loyalty affects the company revenue, it's vital to appease your consumers. With CRM – the management strategy, a company can benefit from increased profits. Although customer relationship management is simple yet you need specific software for collection of data and communicate with customers in a scalable way. Implementing a Customer Relationship Management strategy is advantageous for both small scale and large scale business ventures. 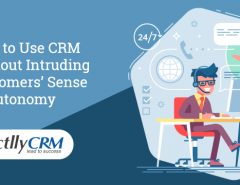 A CRM system offers a myriad of services to help a business in sales and marketing as well as manage and improve your connections and relationships with your customers. Further, it assists an entrepreneur to improve the efficiency, profitability and performance of your sales, marketing and customer service operations. Achieving better customer satisfaction is one of the prime benefits of CRM software. With this strategy a company can streamline all customer dealings like marketing, selling and servicing of the product. 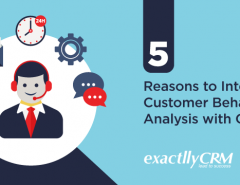 In addition to that, CRM software enables a company to provide better services to the customers through improved understanding of their issues. One of the significant contributions of CRM Software – there’s a decrease in customer agitation. When the customers are happy and satisfied with your product and service they continuously send you feedback which proves to boost your business. Moreover, your customers can also recommend you to their acquaintances for your efficient conduct. 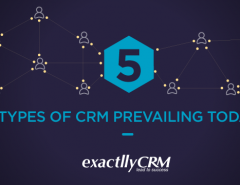 When you have an efficient CRM software, there’s ample scope of maximizing your up-selling. Up-selling is one of the significant practices that introduce customers to the premium products that fall into the same category as their purchase. When we talk about CRM benefits for business, what we find is that this strategy also facilitates another element-cross selling. Cross-selling is a practice in business that offers complementary products to customers by their prior purchases. Both the practices of upselling and cross-selling are carried on smoothly by interacting with the customers to get an idea about their requirement and the patterns of their purchase. These details can be stored in a central system and when the opportunity arises, the company executives can promote their products to their consumers escalating up-selling and cross-selling. New customers play a pivotal role in the overall growth of a business. But the process of acquiring customers is quite expensive. Many companies find it extremely difficult to invest in sales and marketing due to financial constraints. Hence, CRM software aid in the process of customer acquisition and contribute to the existing customer base affordably.CRM provides the organization with accurate information about your sales performance. The software also allows you to understand new sales and marketing capabilities and options. With CRM software, an entrepreneur has access to solid facts that can use to drive the performance for the profitability of a business. 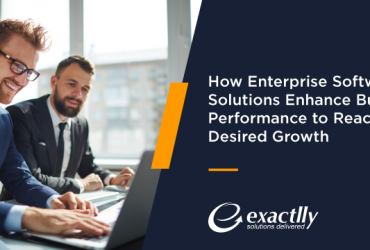 When you have greater visibility in the upsell, cross-sell and renewal opportunities in your customer portfolio, simultaneously there is an increase in repeatable sales also. CRM in business is highly beneficial. An entrepreneur can save his customer data and other trade technicalities in a confidential manner using CRM software. Among the many contributions of CRM software, this facility of CRM is noteworthy. 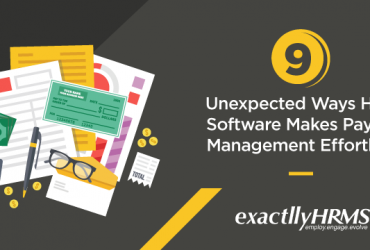 This is because while the software stores data, the business person can focus on other significant business matters such as human resources, budget or infrastructure. The data security system is so designed that only authorized employees can only access the data keeping it safe from hackers and other cyber breaches. CRM Software enables business leaders for tactical decision making. To run a business successfully, it’s extremely important to have access to data related to sales trends and forecasts. Depending on these trends and opportunities you can craft your company’s long-term action plans. Using CRM software business leaders can identify which markets are the most profitable a. In addition to that they can evaluate how to adjust their strategy to reach their goals. The pointers mentioned above are just a few indicative illustrations of the contributions of the CRM software. There are many such benefits of using a CRM software. You need to find out the right CRM solution for you that brings value to your business. Today, with the advent of Artificial Intelligence and mobile-first strategy you need to change your outlook while maintaining customer relationship. Choose a CRM software, for enhancing more efficiency and more in-depth insights into your business as well as customer acquisition.